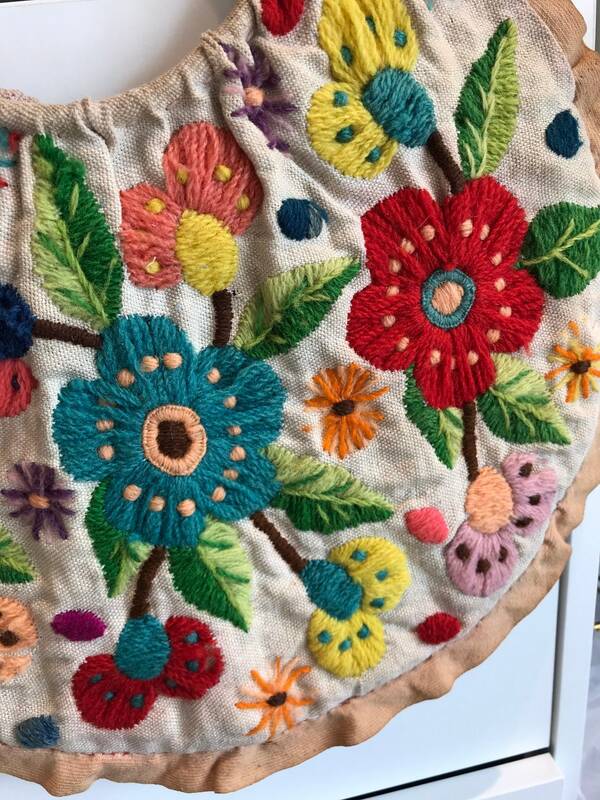 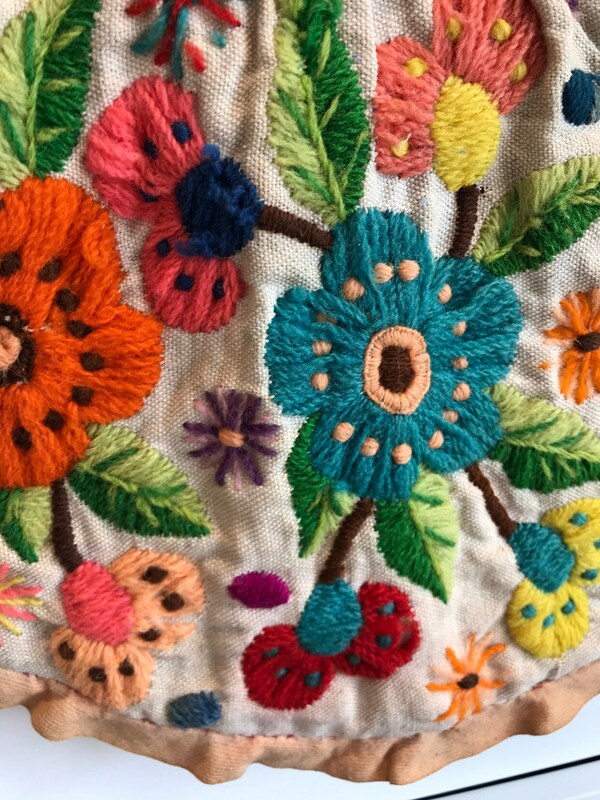 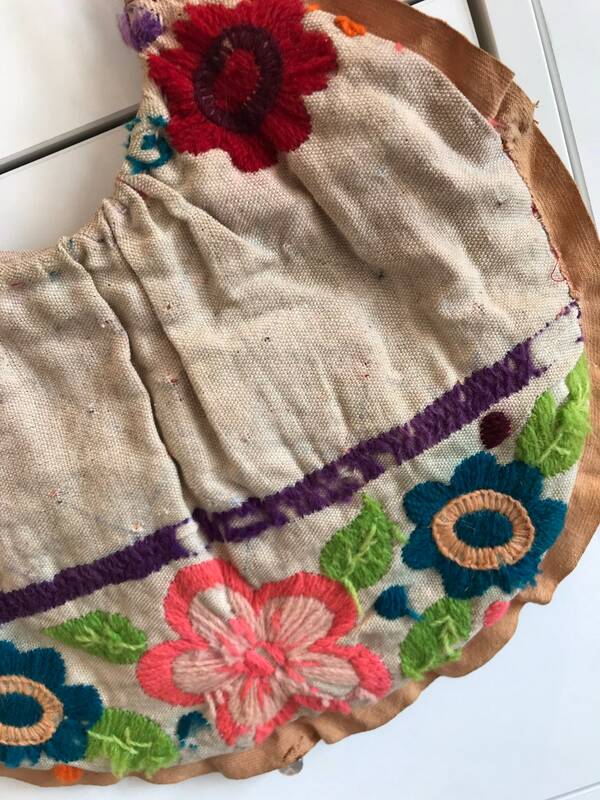 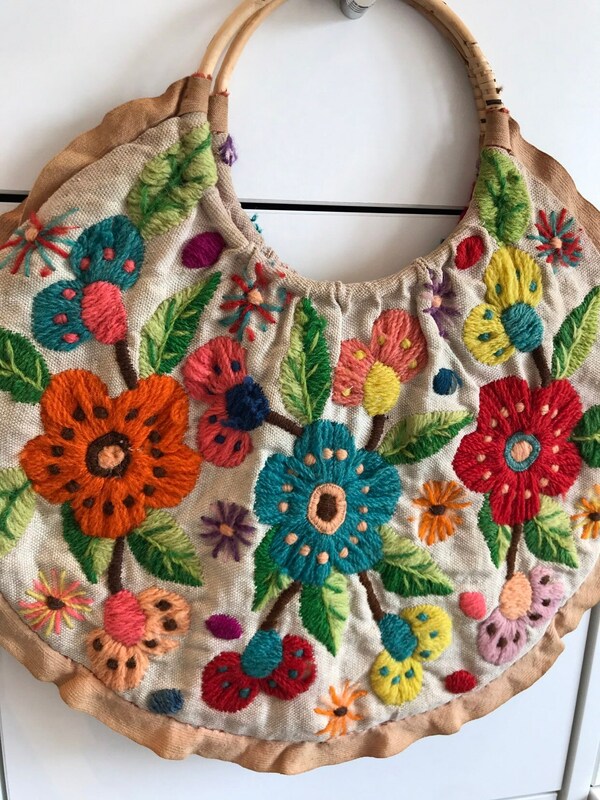 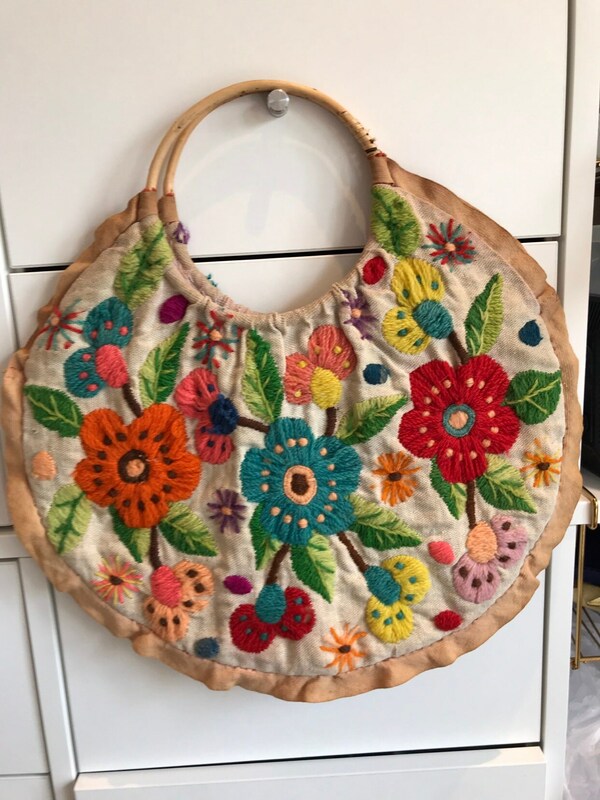 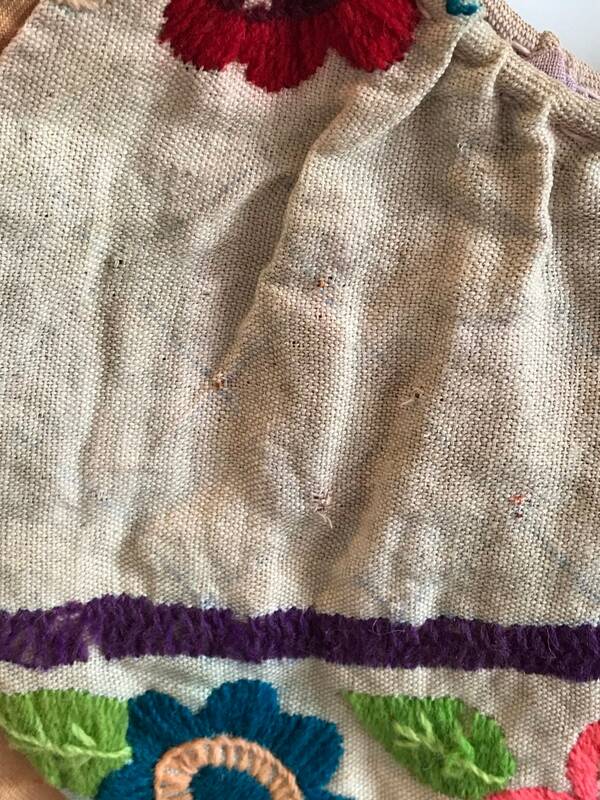 Here is a lovely vintage hand made wool tapestry bag. 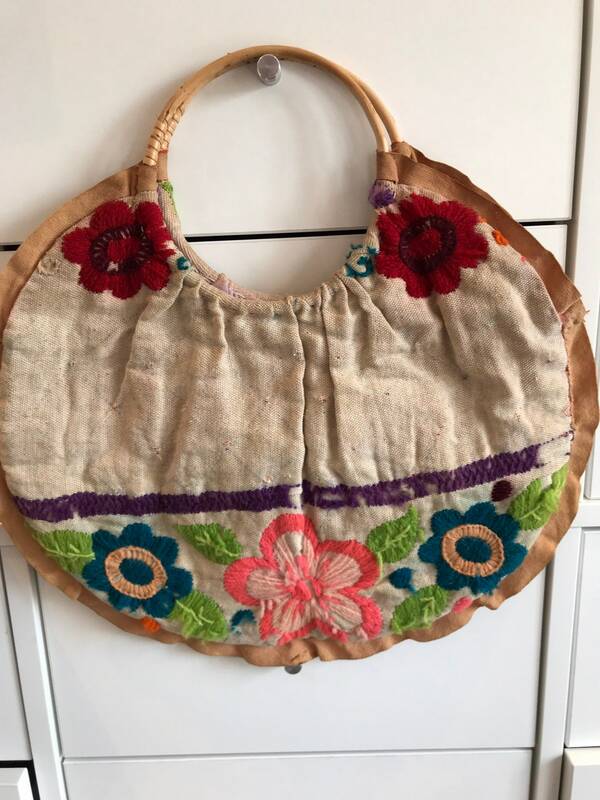 This bag was someone’s project and they obviously spend ages on it. 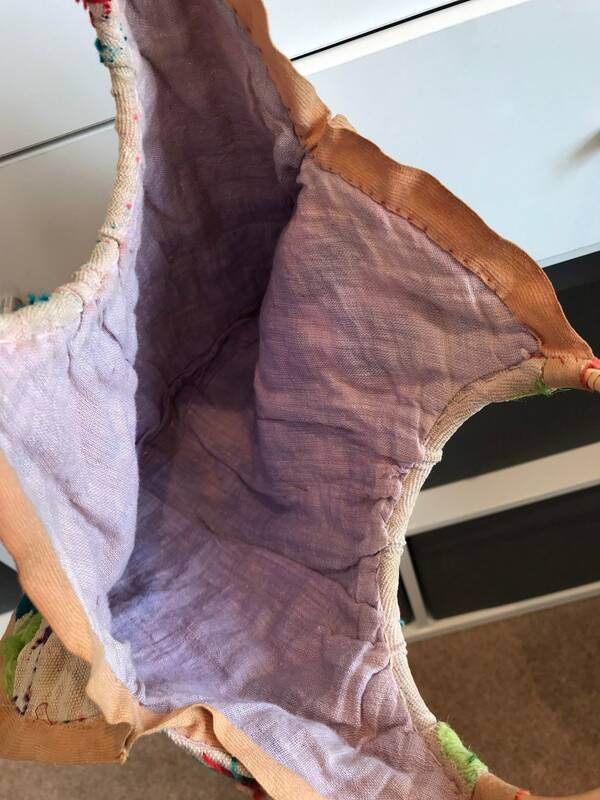 One side is complete and the other side still needs completion.It would be amazing to see this completed, unfortunately I’m not that patient! 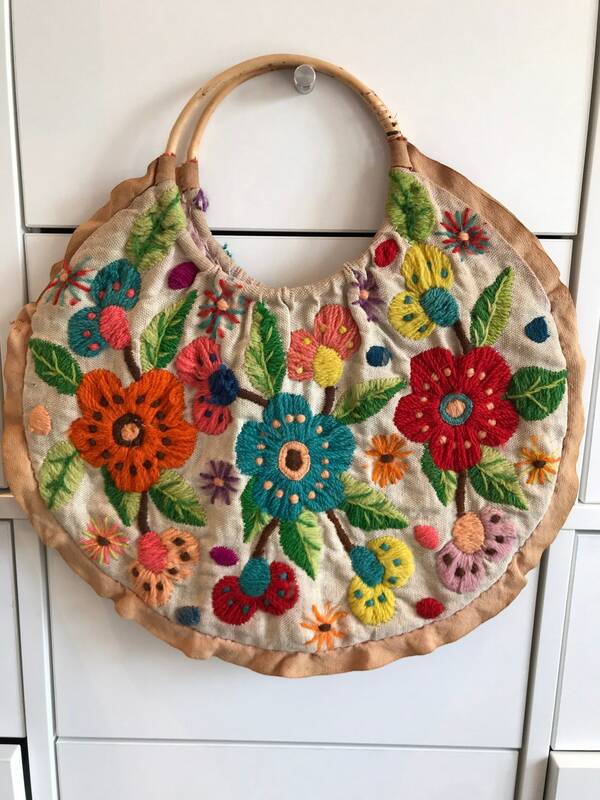 It measures approximately 14” across.